I'm back with a review! 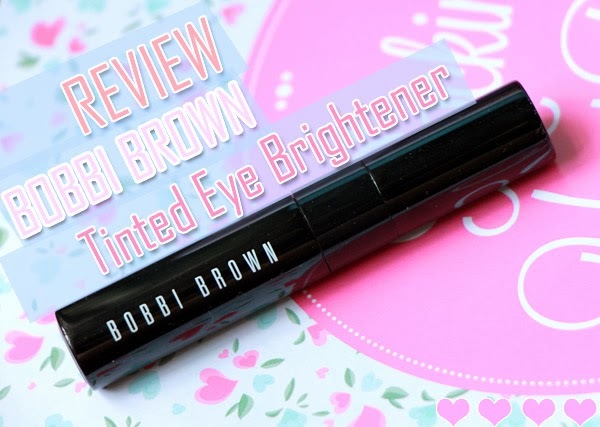 I've had this Bobbi Brown Tinted Eye Brightener for quite a while now. 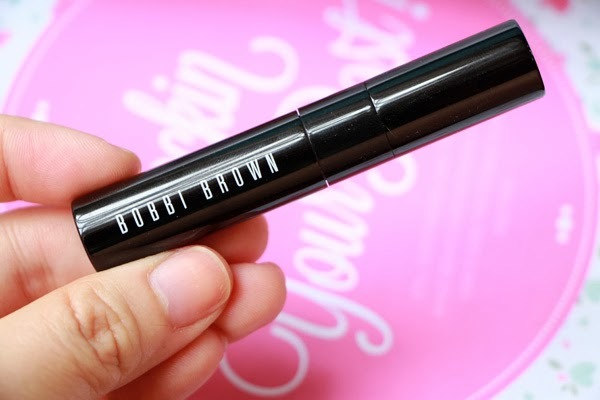 Got it around December last year from a Bobbi Brown Blogger Gathering which you can read the post here. I never really know about this product before I got it. It's not really been talked a lot around youtube and blogs that I followed. It is basically a concealer that (according to the website), "Instantly brightens shadows so you look refreshed and revived-perfect for touch-ups too." My first impression of the packaging is very sleek and professional but at the same time practical. Just like what other Bobbi Brown's packaging and image are. It opens up to a brush head attached on the top as the opening, so it can easily be used to apply product. The brush is quite sharp and tiny, it's perfect for putting product on the darkest part of my under eye. 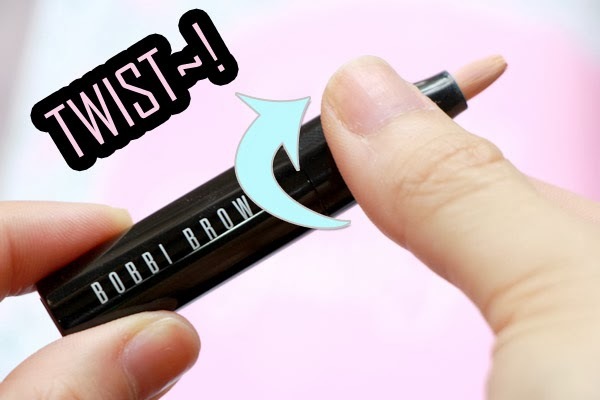 What you have to dispense the actual product on the brush is to twist the upper part as the arrow showed. One thing that bothers me is that for a first few usage, the product wouldn't come out right. I had to twist it over and over until just about too many times before it finally bursting out too much product to use in one go. This is how the product will come. There's like a pipe on the center of the brush to make their way out. Lucky me, this time the product dispense just the right amount! I got the shade light to medium peach which really suits my skintone. I guess it'll suits most of Indonesian skintone because of the peachy and more towards yellow undertone it has. But there's actually 10 shades available on the website, so you can get any color that suits you. For the texture, it has a very light and creamy consistency that really easy to blend and has a good medium coverage. It sets quite fast into a pretty satin finish that look just like your skin. Once it dries completely, there's almost no transfer. I tried to pat it and wiping it gently with dry tissues and so very little get on it, like almost nothing! But if you're heavy handedly wiping it, of course it'll come off. Come on.. It completely covers my dark circle making me look more awake. That peachy color really helps to counteract with my purple under eye and it sure is making that mofo appears brighter. You can build it up with thin layers to achieve the coverage that you want. But make sure not to put too much as it can get a little bit cakey if layered heavily. I've tried using it on redness around my nose and mouth which works really well; tried it on light acne scars, works well too; but it wouldn't covers sun spots and blemishes that great. 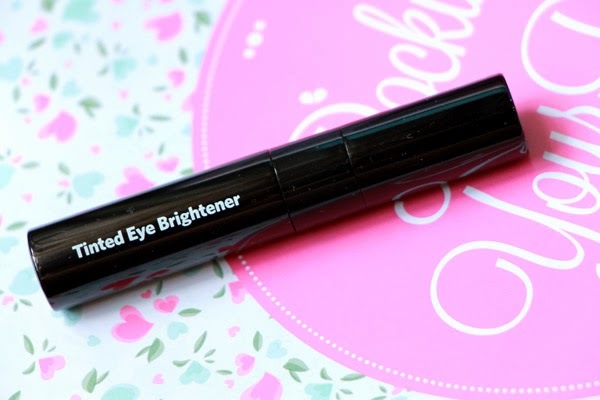 Well what would I expect, it's formulated and named as an "eye brightener", DUH! Please ignore my bloody red eye. I don't know what happens but it's getting better now. As for the staying power and how it worn off, I would say it'll stay for a good 6 to 7 hours before it fades a bit. Not anything horrible, I just can see some purple peek through on the darkest part of my eye bags. 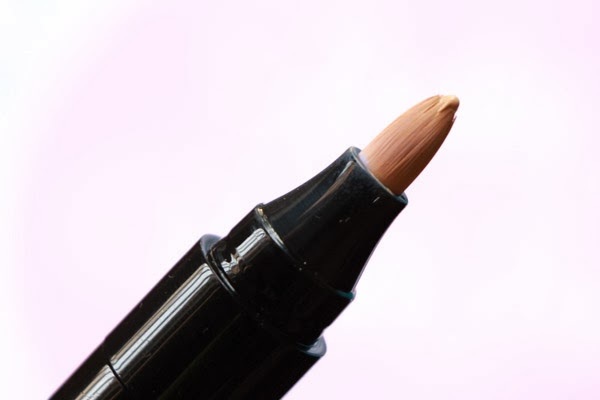 It can easily be touched up with the same concealer and it layers beautifully. Just blend it away with your finger, set it with powder a bit, and you're good to go. I have quite a deep fold under my eye right there so any conceler will crease into it. but it's not a really big deal, though. The fold wouldn't get exposed in any facial expression I do unless I tug it down and widen it. So for me it's not a problem. If by any mean you have a deep fold on your under eye that'll get exposed or noticeable, this might be a problem. On a side note, the creasing only happen to that deep crease only, other areas are completely fine. As you can tell, the size of it is quite small and very easy to slipped in your makeup pouch. Not to mention how chick you'll be touching up with this on the rest room. Just please do it with some class, will ya? 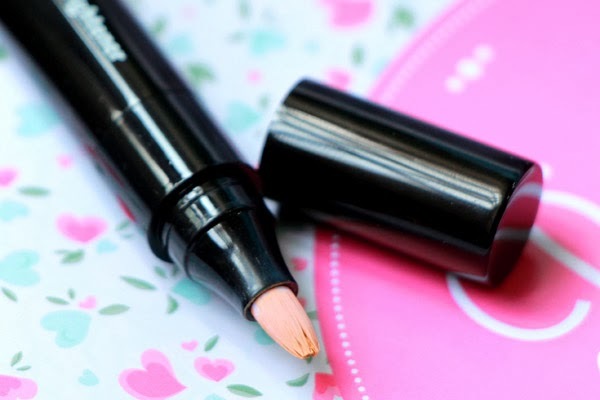 So I love this concealer as much as I love my Maybelline Clear Smooth Mineral Concealer. The 2 biggest reason is the fact that it dries in a very skin like finish and the coverage that blew me away. I don't really wear any foundation or BB cream on a daily basis, so a great cover concealer that makes my skin looks awesome will definitely rocks my days! 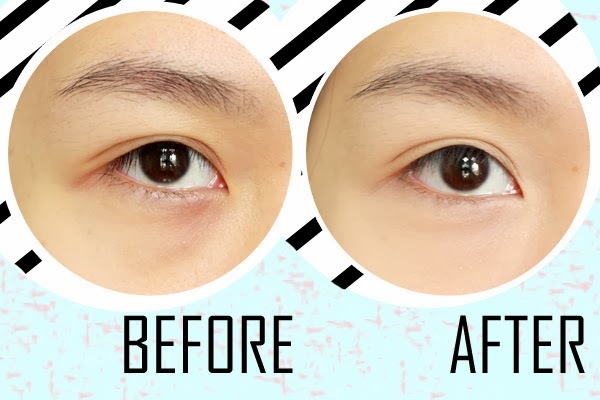 It's great for you who wants to try a no makeup-makeup look, or you're a newbie on makeup world, or for you who just love the most natural and eye deceiving makeup (to make people think that you're wake up every day just like that). heheh.. 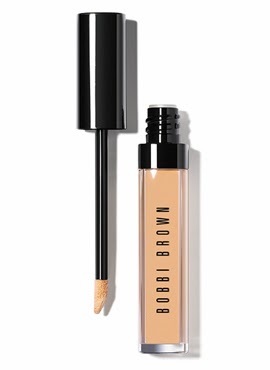 But I see now Bobbi Brown has changed this packaging into something looking like this. A plain boring packaging that everyone has. I mean, nothing wrong with that but I love the old packaging more! But hey, I got this from Bobbi Brown Indonesia, maybe you should check out at the counter to see what they got. The website price is $30.00, I don't know how much exactly it is priced at the counter, but I'm guessing it wouldn't be anything far. I know it's not the cheapest great concealer but if you're like me, who use concealer everyday and hang your dignity and pride on the performance on it, it's okay to splurge on something you know you need and care the most. Coverage nya kereeeen abis ya vina??? Btw, ngomong soal merah seperti darah di mata itu aku pernah ngalami juga..
Tapi kalo aku gegara keserigan pake softlens..
Cobain deh, gak nyeseell! Cuco banget concenyaa.. huihihi. itu itu itu matamu napaaaaa serem nyaaa T_T GWS van! Gak tau nih kenapa tiba-tiba ngemerah gitu git gue juga panik.. Huhu.. Tapi dah mendingan sih sekarang. hehehe..
Iyaahh.. Lu di sebelah mananya cengkareng rinn?? 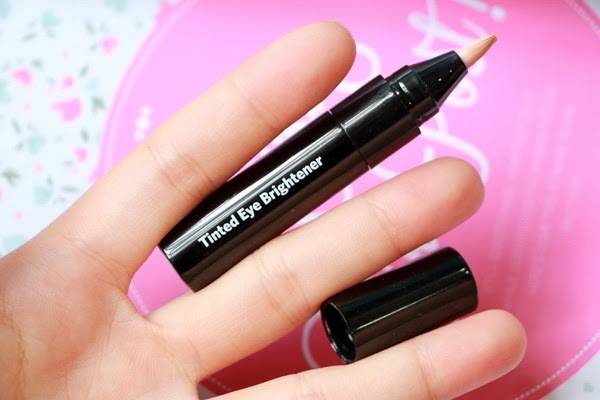 sebenernya gue kurang ngerti makeup, dan ini pertama kalinya denger tinted eye brightener hoho..
good review! get well soon for your eye!